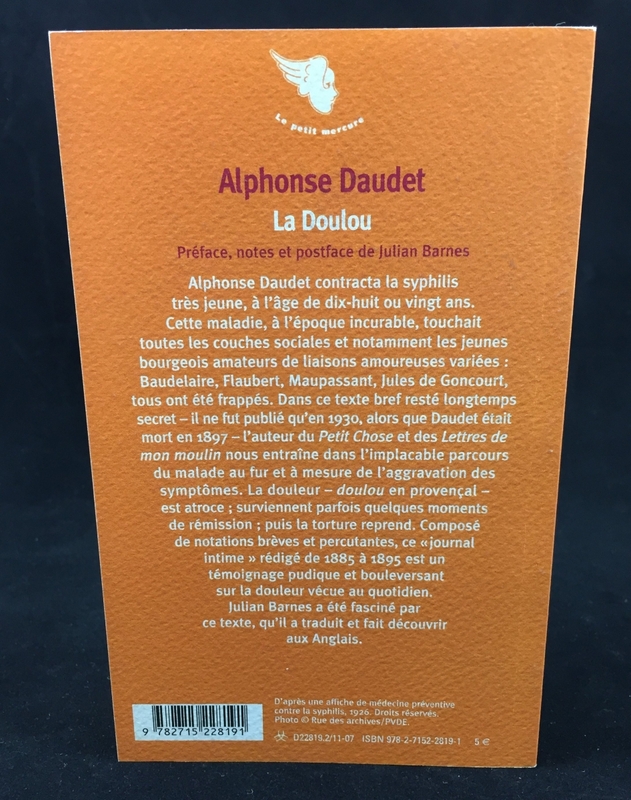 Notes on this edition: Daudet, Alphonse. 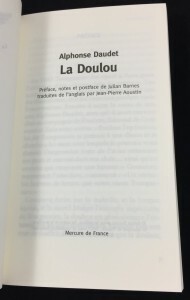 La Doulou. Paris: Mercure de France, 2007. Pp. 123  + . 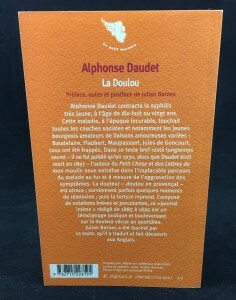 16 x 10 cm. 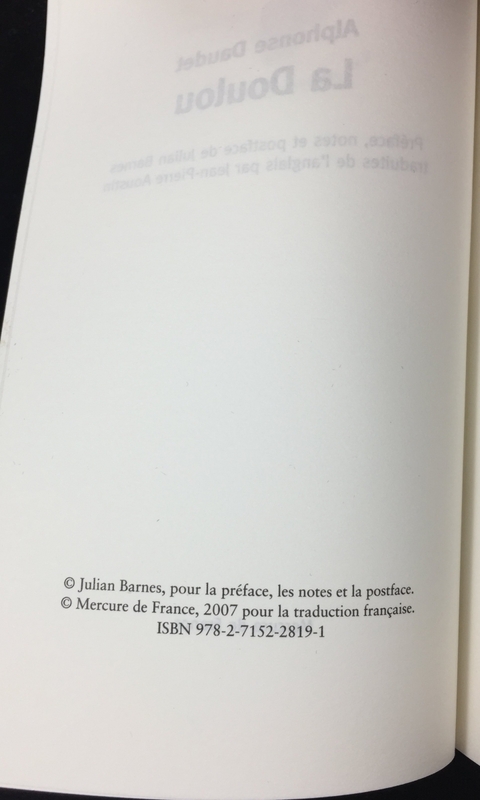 ISBN: 9782715228191. (French). 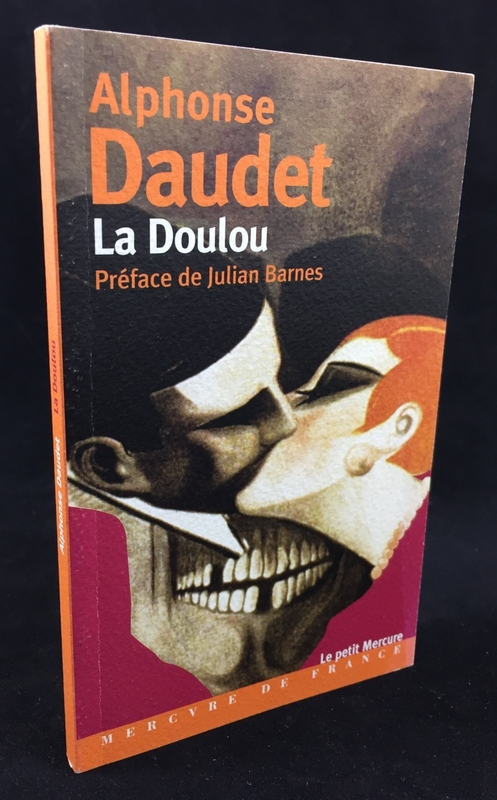 In 2002, Barnes translated Daudet’s journal into English, which brought renewed attention to Daudet’s work. 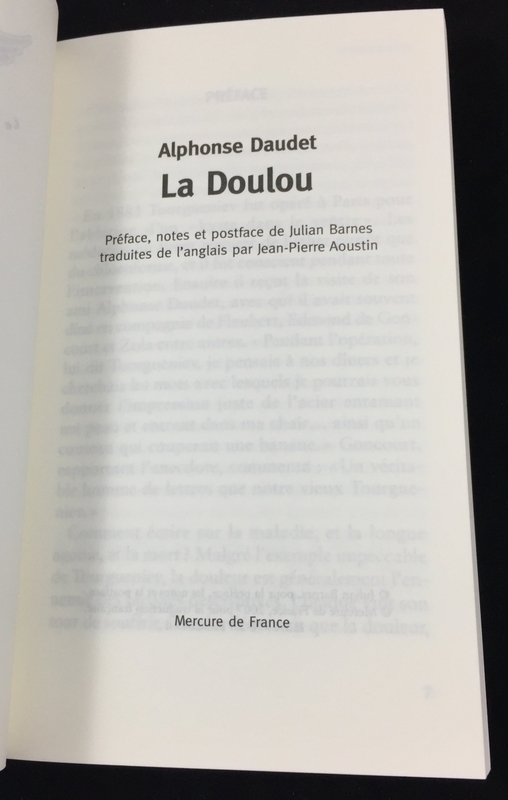 This edition of Daudet’s La Doulou features a preface by Julian Barnes, his additional notes on the text, and his postscript, as was available in Barnes’s translation under the English title In the Land of Pain.